dirty hands marketing: Got (the right) milk? Cultural differences and milk packaging. Most brands divide their milk offerings in a couple different kinds depending on the fat percentage. Going from "whole milk' to "fat free milk". In Brazil green and red have switched positions. 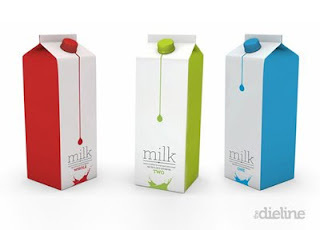 ( Green package means whole milk and red means low fat milk). Big deal you might think. But apart from me buying the wrong milk for the last year based on my Belgian habits, it is also a funny difference! What are the best Brazilian brands?